IHG Rewards Club has released their latest IHG Rewards Club PointBreaks. I think the PointBreaks is one of the best hotel points deals around. With the PointBreaks promotion, you can take advantage of Reward Nights for only 5000 points per night! Due to the limited availability, each member may only book two PointBreaks Reward Nights reservations per hotel during the special offer time period. Offer and participating hotels are subject to change at any time, valid for booking through Oct 31, 2017. You can start booking from Jul 31, 2017. You can earn 50% more miles or points on all Kaligo bookings with a loyalty program of your choice. 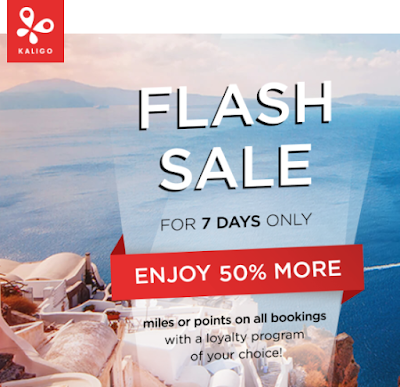 To enjoy the bonus, register at www.kaligo.com/flash-sale and book your hotel stays between 25 July 2017 and 31 July 2017 (Promotional Period) for check-in dates between 25 July 2017 and 31 December 2018. New and existing Kaligo customers are eligible for this offer. Until Sep 12, 2017, you can earn up to 100% extra bonus miles if you buy UA miles. 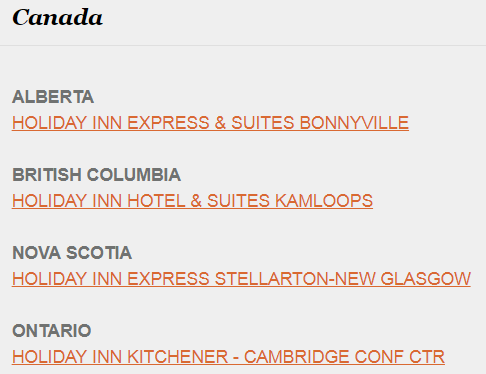 It is a good offer for our Canadian residents, at least UA does not charge YQ compared with Aeroplan. Note: Blackout dates apply. Lowest fares can be found for travel on Tuesdays and Wednesdays. Fares on other days may be higher. 1. Complete the form from the deal link to receive your unique PIN via email. 2. Visit your local Mazda Dealer and test drive any new Mazda vehicle. 3. Give your Sales Team Member your PIN. 4. Your $35 Amazon.ca Gift Card will be emailed to you once your test drive is complete! 15% off the rate of the day. Drop is giving away FREE STARBUCKS COFFEE for the rest of the year to two (2) lucky Drop users! 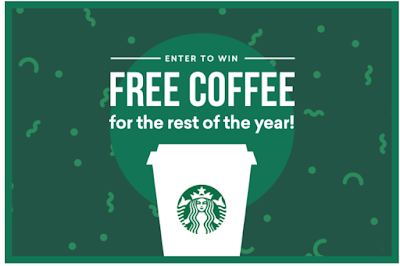 Prizes will be given out in the form of two (2) $350 prepaid Starbucks giftcards. All you have to do is invite a friend, if you are already a Drop user! Each friend that links their card counts towards a ballot to win — the more friends you invite, the higher your chances of winning. Contest runs until July 23rd 11:59pm EST, so start inviting now! 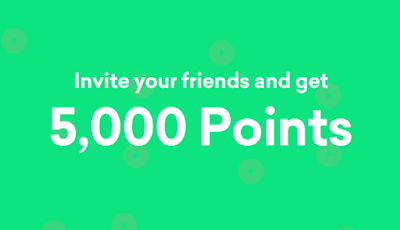 Also, by Drop invitation, you and your friend can each earn 1,000 points from Drop. Now you can earn 25000 welcome bonus SPG points (instead of 20000) after you charge $1500 to your AmEx SPG card in your first 3 months of cardmembership. This offer ends Oct 18, 2017. You can apply it through GCR, and get additional $30 bonus. If you want to sign up for GCR, please use my referral link as follows: https://www.greatcanadianrebates.ca/Register/126795/ , and input my email: canadianrewards@gmail.com . GCR will give you extra $2.5 bonus (I will also get some bonus. Thanks). 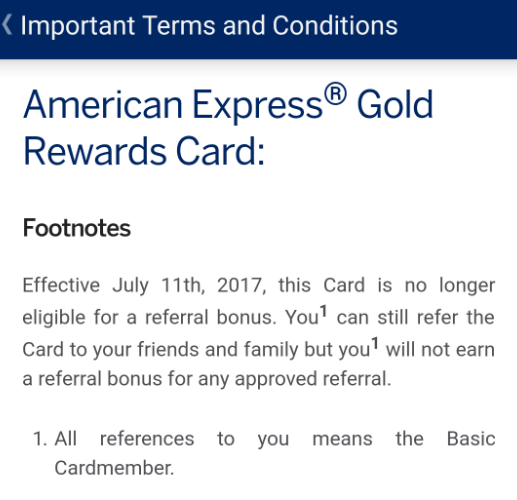 Updated: If you applied AmEx SPG before this promotion, you can call AmEx and ask for match. One of my friends already got approval on the match. 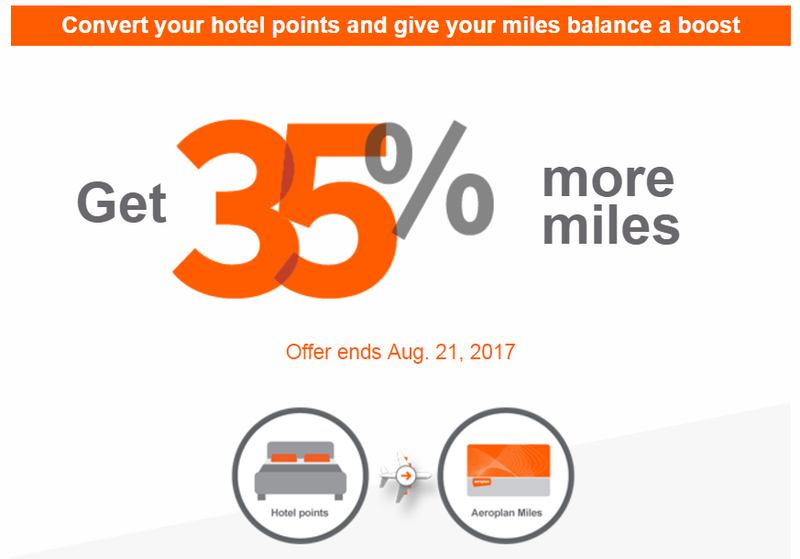 Note: Bonus Aeroplan Miles may take up to 4‑6 weeks to be credited after the promotional offer end date of August 21, 2017. 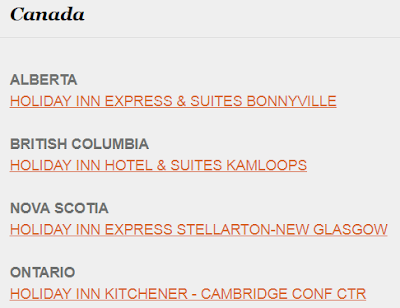 Bonus Aeroplan Miles received from the exchange of hotel loyalty program points into Aeroplan Miles are not eligible for status in the Aeroplan program. When you buy a minimum of 1000 WestJet dollars between July 17 and August 20, 2017, an additional 15% back in WestJet dollars will be added to your WestJet Rewards account. Note: All purchases must be made through the members WestJet Rewards account. WestJet Rewards members will receive 15% more in WestJet dollars of the WestJet dollars purchased with a minimum purchase of 1,000 WestJet dollars in a single transaction. Members may purchase a maximum of 3,000 dollars per calendar year. All purchases are non-refundable. 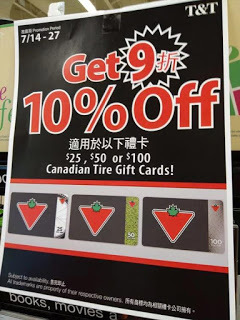 You can buy Canadian Tire Gift Cards in T&T shops and earn 10% off until Jul 27, 2017. This deal may be only available in ON T&T shops. Apple "Back to School 2017" promotion is coming. 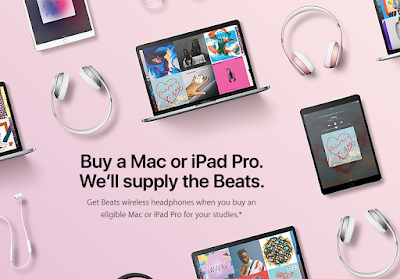 Qualified Purchasers can receive Promotion Savings when they purchase an Eligible Mac or Eligible iPad with a pair of Beats Solo3 Wireless On-Ear Headphones, Powerbeats3 Wireless Earphones or BeatsX Earphones, subject to the terms and conditions. 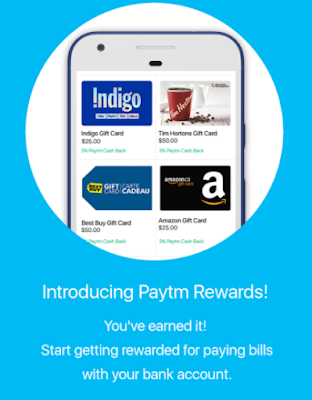 We introduced Drop Program before: http://www.canadianrewards.net/2016/10/drop-points-program-introduction.html From my point of view, Drop is one of the best rewards programs in Canada. I just got an email from Drop about an amazing offer. 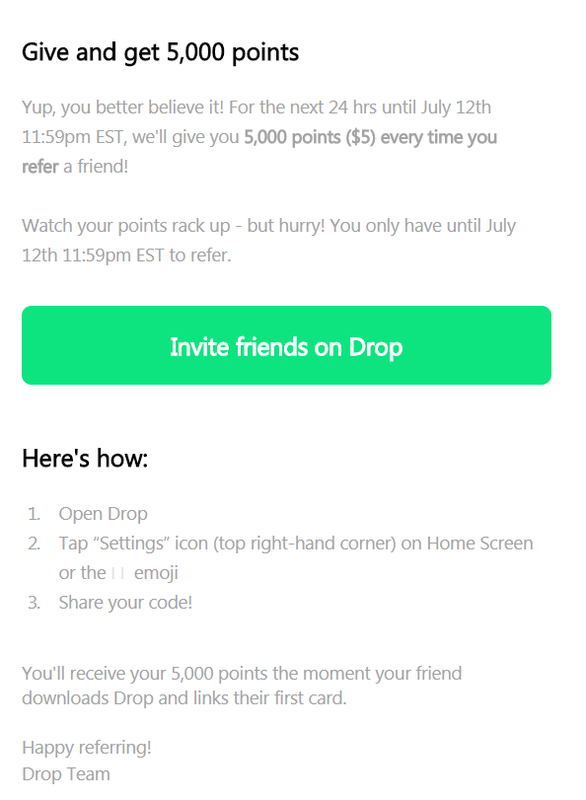 The email says, "For the next 24 hrs until July 12th 11:59pm EST, Drop will give you 5,000 points ($5) every time you refer a friend!" And your friend will also get 1,000 points. The good thing is that after your friend become a Drop user, he/she will have an "Invite Code" too. 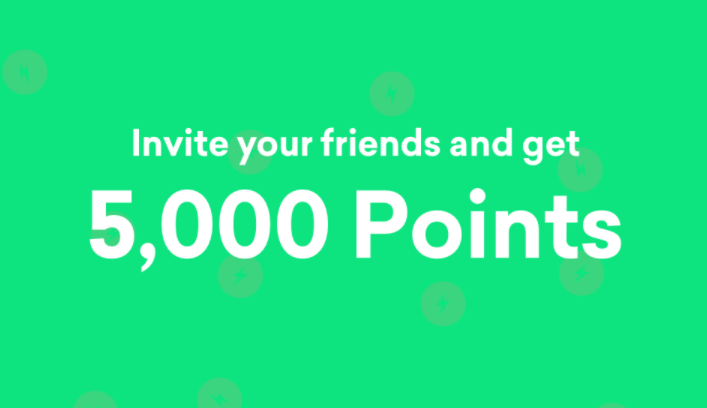 Then your friend can refer other people to get the 5,000 points during the promotion period. Honestly speaking, I think the email is not very clear... Is the promotion period the next 24 hrs from now, or 24 hrs before Jul 12th 11:59pm EST?? 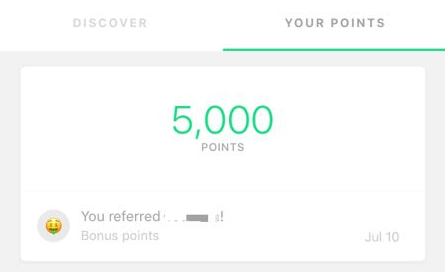 Someone reported to me that they already got this 5,000 referral bonus points... But, I still think it is better to wait for more data points before registration. If you also got this 5,000 referral bonus, please tell us in the comments section below. Thanks. You can earn 4X Aeroplan miles for every dollar spent on Costco.ca. 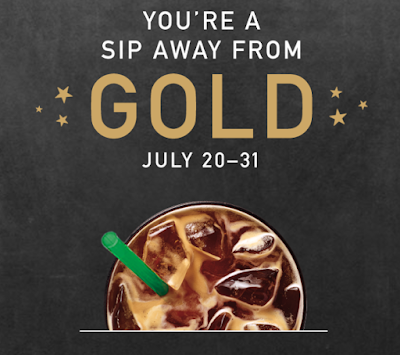 This offer is valid on Jul 10 and Jul 11. You can now earn 15000 Avion points + $100 travel credit if you apply the RBC Visa Infinite Avion card and spend $100 or more on travel-related purchase within 6 months of approval. You can get a Free Sim Card (3 in 1 Sim Card) + $25 Bonus Airtime with $100 Airtime Purchase from SpeakOut wireless prepaid phone plan. $100 top up must be activated by August 29, 2017, midnight PT to receive the $25 account bonus. Shipping charges will apply if ordering online. Note: this offer cannot be combined with any other promotional offer. Promotion valid dates 06/28/17 - 8/29/17. While supplies last. You can get 500 AIR MILES Bonus Miles if you apply BMO Air Miles MasterCard ($0 annual fee) between Jul 5 and Nov 30, 2017. This offer is limited to new BMO Air Miles MasterCard accounts. The Bonus Miles will be applied to your AIR MILES Collector Account within forty-five (45) days after your first card purchase. 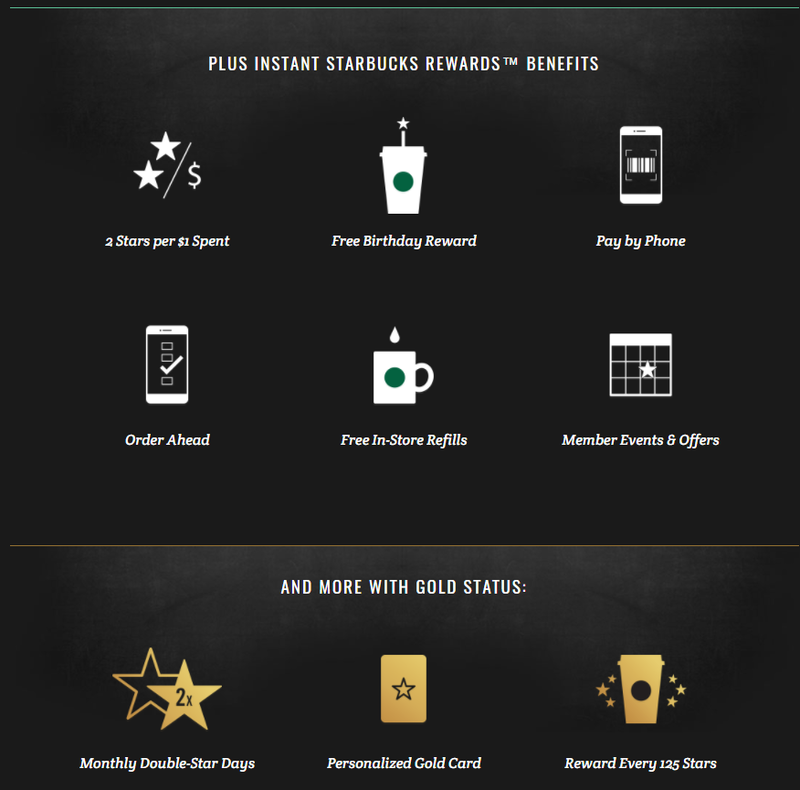 You will also get 3X the Miles for the first 6 Months (no upper limit!! ), which is three (3) Miles for every $20 spent using your BMO Air Miles Mastercard for the first six (6) months from your account-open date and is based on the aggregate dollar value of those purchases in each applicable statement period. Note: Existing BMO Air Miles Mastercard customers who cancel their card during the Offer Period and existing BMO Mastercard customers who transfer into this product during the Offer Period are not eligible. Step 1: Open a Chequing Account in a new eligible Bank Plan and make a deposit by September 30, 2017. Step 2: Set up one recurring direct deposit from your employer or pension and have it deposited to your account three months in a row by January 31, 2018. You can also receive an extra $50 bonus when you apply and be approved for an eligible BMO Credit Card by September 30, 2017. And, you need to make a bill payment or transfer from your new Chequing Account to the new Credit Card by November 30, 2017. Note: This offer is not valid for anyone that closed their account from January 2017 to September 2017. And the new chequing account has to be open till September 2018. 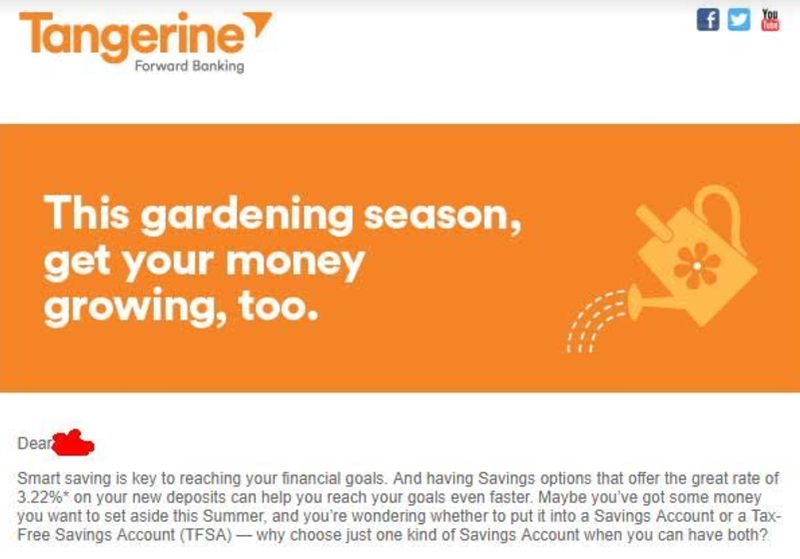 Now, Tangerine is offering a new savings account promotion (targeted). You can earn up to 3.22% interest in new deposits to your Tangerine Savings Account(s) , Tangerine TFSA and RSP Savings Accounts from Jul 5 to Sep 30, 2017. Note: This offer is targeted. Different people may get different rates (such as: 3.22%, 3.1%, 2.97%, 2.78%, 2.17%, 1.95% etc). 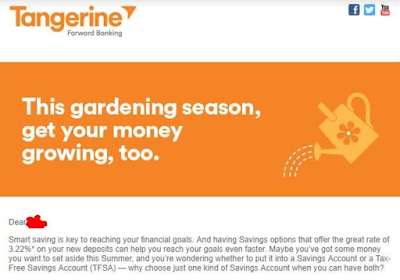 To receive the Offer, Tangerine Clients must have received the Offer by email directly from the Bank, and/or received a notification that they are eligible to participate in the Offer when they log in on the Bank’s website. Clients must also be the Primary Account Holder on the Applicable Account.